In the retail world, fall is synonymous with holiday prep. Shoppers have already begun filling out their gift lists, and this means that something you sell is probably on it. So how can small retail businesses keep up with the demands of holiday shoppers without going bust, ignoring current customers, or missing opportunities to snag new business? The key is to have a great strategy before the holidays even start. The busiest shopping days of the latter half of the year are fairly predictable: Black Friday, Super Saturday (the last Saturday before Christmas), and, of course, Christmas Eve. It’s not enough to only plan for the busy days and forget the rest. It’s not enough to only plan for the busy days and forget the rest. 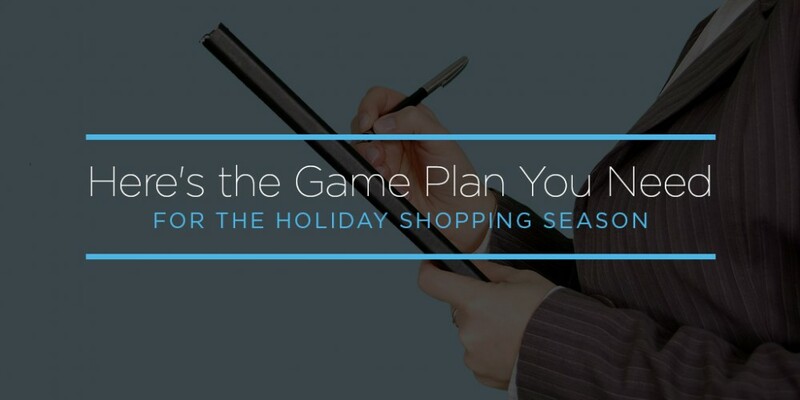 It often seems that holiday shoppers start as soon as the weather turns cold, which means that your holiday strategy can’t focus solely on the one or two days before major holidays. The best strategy is one that covers you through peaks and dips in sales on a weekly basis. Whatever strategy you come up with, it’s best to stick with it, even when times get busy. Select one or two people who will be responsible for watching your website and someone who can be responsible for watching in-store trends as they happen. 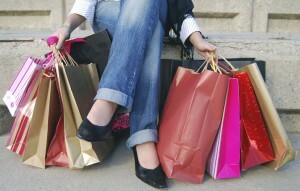 The sooner you can catch shopping trends and adjust your marketing to match, the better. Online this is fairly easy to track. If you notice a spike in interest for certain pages, products, or orders, you can quickly create offers or advertisement and post on social media. For in-store retailers, this won’t be as blatantly obvious, but you can still track the number of people that come through your store and make purchases with your daily sales numbers, notice popular items that sold, notice what didn’t sell, and adjust your in-store (or even online) marketing accordingly. The trick is to do it on a daily basis. Don’t wait for the end of the week once you’ve put two and two together to create a sign display or send out a tweet. Doing this more frequently will not only help you take advantage of peak sales, but also help you notice periods of slow sales and adjust accordingly. New customers are great, and you will probably see your fair share of them during the holidays, but don’t forget about your loyal customers that are faithful to buy year-round. During times of slow sales, be sure to focus on those customers in order to keep that loyalty. While you still want to come up with special deals and offers for new customers, having something special for your regular customer base will help keep sales steady. Don’t forget to take advantage of the slow times to clean and organize your store (and website) and review your strategy and analytics to see where you can make adjustments. The holidays are the main time of year when shoppers aren’t buying products for themselves, which makes marketing more difficult. One way to overcome this is by looking at your sales from last year and identify where and how they have diverged throughout the current year. For example, if you’re a restaurant or bar that sold quite a few bottles of wine during the holidays last year, but have noticed those sales drop in favor of gift cards, you can target your marketing toward promoting gift cards to continue the trend. Or, you can combine sales tactics to reach more people. Using our example above, you could sell specific gift cards for bottles of wine. The key is to target the demographics that have had a positive buying record over the last 6-12 months. The holidays are also a time of socializing, and many physical and online retailers can take advantage of this in a few ways. Social media can certainly drive online sales and should be used as a part of any marketing campaign during the holidays, but it can also be used to drive in-store sales by promoting in-store events and offers. If you don’t have any specific on-location events planned, consider scheduling some. You will still want to target these events to certain consumer bases (your loyal shoppers, new shoppers, older shoppers, younger shoppers, etc.). Don’t be afraid to use these events to focus on connecting customers with your brand and with each other. This can also give you a step up above your competition that might not offer programs like this for their loyal customers. The plus side is that they’re also relatively inexpensive to set up, which is great for businesses looking to save money on marketing. Likewise, referral programs are equally valuable for gaining new customers while rewarding loyal ones. There are many options to a referral program – you can reward with cash or offer discounts or free products. Referrals are also a great way to keep customers coming back even after the holidays are over. 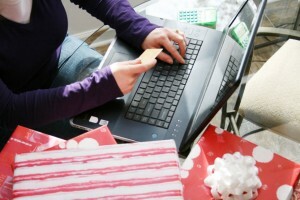 A large portion of holiday shoppers is switching to shopping online, which you don’t want to ignore. It’s best to take advantage of this by offering some form of discount or promotion for those who come to your website. If they can’t purchase a product online directly from your site, they should at least be able to print out a coupon (or download to their phone) and come into the store to use it. You also want to make sure you don’t ignore your in-store shoppers in favor of online shoppers, however. In a blog post on FTI Journal, Christa Hart, senior managing director of retail and consumer products at FTI Consulting, said that in certain product categories — appliances, furniture, food and groceries — the majority of consumers prefer to shop in-store. Even for apparel and footwear, more than half of consumers surveyed by FTI prefer in-store shopping. This means that your physical location is still relevant to your customers. To maximize profits, your best bet is to target both online and physical shoppers. While the holidays are a busy time of year for many retailers, they can also be great for the bottom line. When it comes to creating a strategy to win customers over, you can never start too soon. It’s best to come up with solutions for marketing both online and in-store, and to stick to that plan and measure your metrics on a daily basis during the busy times. During slow times, use reward and referral programs to win new customers and bring discounts to your loyal shoppers. And always be tracking trends from the last year to assess which areas of your business will continue to see an upswing during the holidays. 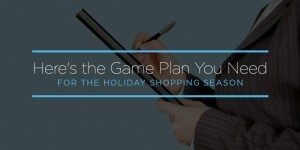 Here are five best practices for getting one-time holiday shoppers to come back year-round. Subscribe to download this resource.